We are happy to be offering lamb from Stillwater Farm in Boston, NY! Jay and Margaret Braymiller, with their daughters, humanely raise their flock and feed quality local grain and hay. 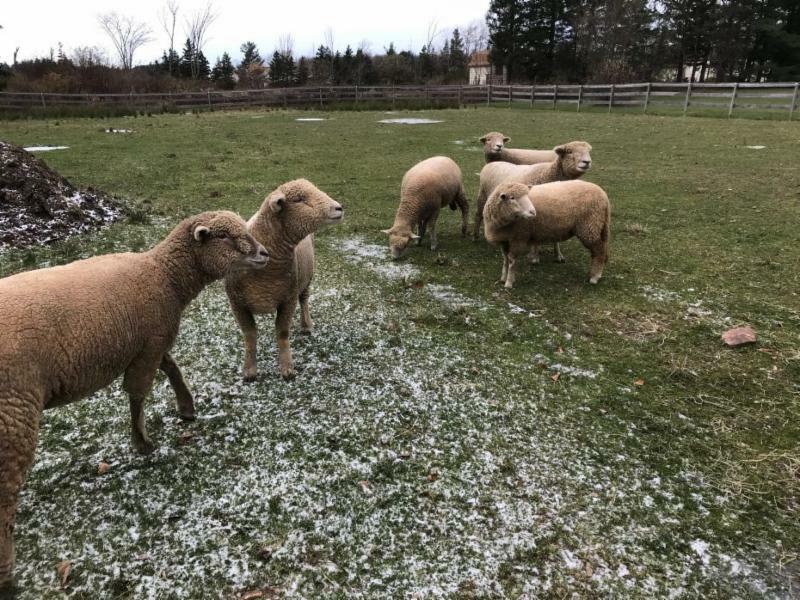 We shared this article last year but in case you missed it, check out this great story from The Buffalo News highlighting the farms standards and practices. Bone-In Legs (approx. 6 lbs.) – $13.99/lb. French Rib Racks (approx. 1.75- 2 lbs.) – $34.99/lb. Loin Chop (2 per package, approx. 1.25-1.4 lbs) – $16.99/lb. Stew Meat (approx. 1lb.) – $14.50/lb. Ground (approx. 1lb.) – $13.50/lb. Stop by, call us at 633-2830 or email orders@farmersandartisans.com to place your order.